What causes oral cancer and how can we prevent it? We know that excessive consumption of alcohol is detrimental to oral health, but why? We know that tobacco smoking, alcohol, and poor oral hygiene cause increased acetaldehyde levels in saliva. Alcohol itself is not carcinogenic, but it is metabolised to acetaldehyde which has been strongly implicated in the development of oral cancer. The variation between people in how they metabolize alcohol might explain why some are at greater risk of cancer than others. It is not just the amount of alcohol that is consumed, though this is important, but the genetic factors that control the way that alcohol is metabolized in that individual. The oral microflora is capable of producing toxic acetaldehyde in greater quantities than is present in the cells of the oral mucosa. At first, this might seem confusing because poor oral hygiene is a weak risk factor for oral cancer in the general population. Poor oral hygiene and the oral microbial production of acetaldehyde may have a much more significant carcinogenic role in those who drink alcohol excessively. 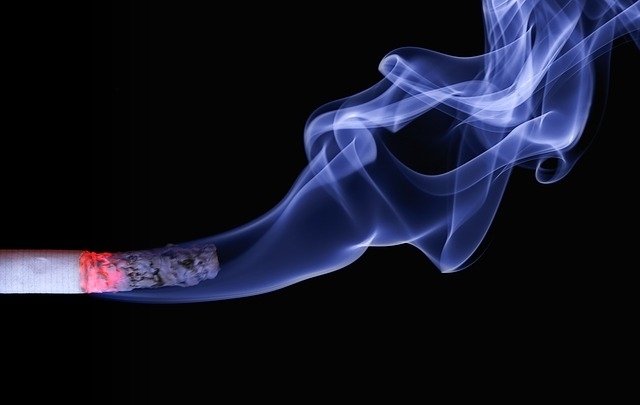 Heavy drinking and smoking will increase the microbial acetaldehyde production and this may explain the synergistic effect of both factors in causing oral cancer. How do we put this knowledge into practice? Patients who are heavy drinkers and smokers need to receive preventive counselling. Healthcare professionals need to be vigilant to the early signs of oral cancer. In 2014, there were 7,603 cases of mouth cancer in the United Kingdom. You might expect that with increasing living standards and better health awareness, this figure would be falling over time. The opposite is true; in fact, the incidence of mouth cancer has increased over the last decade. Squamous cell carcinoma could be identified much earlier than at present. Earlier diagnosis would mean less disfiguring surgery and a dramatically improved chance of survival for patients affected. The delay happens with patients failing to seek professional help and then doctors and dentists failing to recognise this potentially fatal disease. Cigarette, smoke by realworkhard. CC0 Public domain via Pixabay. Not every ulcer is cancerous, of course, and most ulcers can be treated successfully by removal of any obvious local cause. The dentist’s suspicion should be alerted, however, by finding an ulcer that is failing to heal after 2-3 weeks. This needs urgent referral to a specialist for further assessment and investigation. It is advised that every dental examination should include an examination of the extra-oral soft tissues, regional lymph nodes, and intraoral soft tissues. Previously, normal mucosa can develop cancer but red or red and white patches of the oral mucosa have an increased risk of carcinoma or show severe dysplasia. The most commonly affected intra-oral sites are the side of the tongue and floor of the mouth. The lesion can feel indurated or fixed to deeper tissues. The cervical lymph nodes may be enlarged. Patients do not complain of pain in the early stages of disease. Successful treatment of oral squamous cell carcinoma involves removal of the primary tumour and lymph node metastases. Invasion of the jaw bone reduces the prognosis. However, the cancer cells do not directly resorb bone. There is a layer of fibrous stroma frequently present between the tumour and bone which produces a protein that induces the bone resorption. In many cases, cancer-associated fibroblasts are seen penetrating bone ahead of the tumour front, which implies that they are important in disease prognosis. A vicious circle ensues with growth factors released from the resorbing bone promoting further tumour growth. Future research will target the fibrous stroma cells as their role seems to be crucial in determining the rate of bone invasion. The best way to avoid oral cancer is not to smoke or chew tobacco products and to consume alcohol in moderation. Maintaining good oral hygiene and regular visits to the dentist for a cancer screen are also important, but there may be other significant factors involved in some patients. Did you know that continuous exposure to strong sunlight can induce cancer of the lower lip? The incidence is higher in some professions, for example older male farmers, where they have been exposed to cumulatively high doses of ultraviolet light. The solar radiation, combined with a fair skin, causes DNA damage in the lip. The lower lip is more frequently affected than the upper lip due to its greater exposure to solar radiation. Patients can prevent cancer in the lower lip by using sunscreen, while dentists should be suspicious of lumps, changes in colour or non-healing ulcers on the lower lip. In summary, the improvement of existing oral cancer treatments is dependent on unravelling the underlying causative mechanisms, such as aldehyde production from excessive consumption of alcohol and smoking. Healthcare professionals can do much to increase their patients’ awareness of cancer risk and can give brief advice to help patients reduce their smoking and use of alcohol. Early recognition of disease and treatment improves the prognosis. Radiotherapy is often considered with small, surgically inaccessible tumours (for instance, at the base of the tongue), as palliative treatment of the larger tumours or where a good functional outcome from reconstructive surgery is unlikely. The general dentist can do much to improve the quality of life of these patients by providing careful management. Featured image credit: Bar, neon, sign by Alex Knight. CC0 public domain via Unsplash. Professor Hugh Devlin has taught at the University of Manchester for over 35 years and still retains his enthusiasm for teaching and research. In 2011 He received the IADR Distinguished Scientist Award for Research in Prosthodontics and Implants. Dr Rebecca Craven worked in general practice, community and hospital dentistry before spending over 25 years in university research and teaching. She now runs postgraduate programmes in research and dental public health, also leading the first year of the undergraduate programme. Both are editors of Oxford Handbook of Integrated Dental Biosciences.